Omega-3s are only available through diet or supplement and this recipe packs a double punch. Both walnuts and wild salmon are natural sources for omega-3 fatty acids. 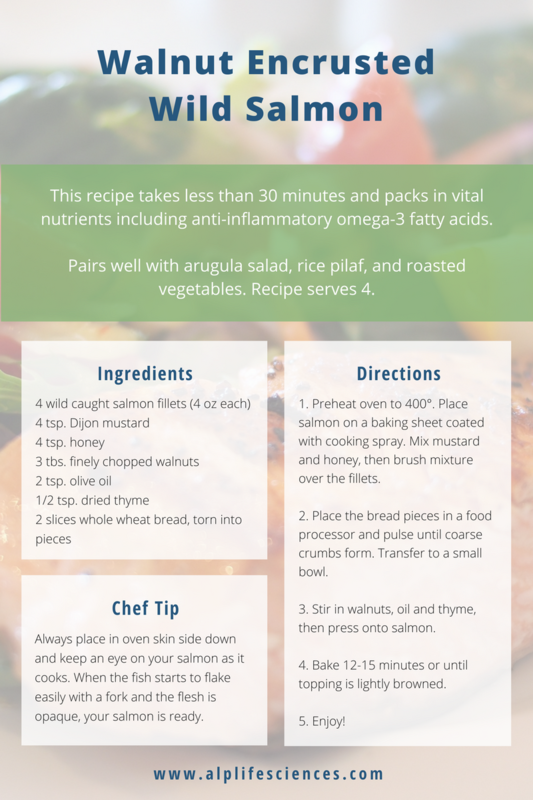 Enjoy this walnut encrusted salmon as a part of your balanced anti-inflammatory diet and reap the benefits: improved heart health, boosted mood, and healthier joints!